What is the difference between CSR and social enterprise? We may see the lines blur between CSR and social enterprise examples we have been talking about.Right now though, one way to distinguish the two is to think about the role impact plays. Is the company “impact first,” i.e., impact is the primary goal or on par with profit, or is impact considered after the company pursues a strong bottom line? If the organization is “impact first,” then it suggests a social enterprise. If impact is secondary, then you’re likely looking at corporate social responsibility measures that leverage a corporation’s resources, workforce, products, and services for charitable or social impact initiatives. Maybe you’re wondering what CSR actually looks like. More and more corporations each year are releasing Sustainability or Impact Reports. Seeing some of these can contextualize the disruptive role that CSR plays in the social impact sector. Take Walmart, for example. It is currently the world’s largest retailer and the go-to place for 25% of Americans (and closer to 50% of 29 markets worldwide) to buy their groceries. It has 11,000 retail locations, employs more than 2 million people, and contracts with thousands of suppliers who, in turn, employ millions. You can see that even small shifts in the Walmart Supply Chain can ripple to create massive impact. And that’s how CSR initiatives can mean big-time net impact. According to Walmart’s 2015 Global Responsibility Report, the company estimated sourcing goods from 1 million farmers from emerging markets globally and giving $1 billion in food contributions to address hunger alleviation by the close of the year. Few, if any, companies could ever scale the kind of impact that a huge, global company like Walmart can with a few tweaks to their manufacturing, production, sourcing, or distribution. https://www.innov8social.com/wp-content/uploads/2016/05/51Q-cover-images_instagram_blog-1.png 1080 1080 neetal https://www.innov8social.com/wp-content/uploads/2018/05/innov8social_logo_gray1.1.png neetal2016-07-26 05:10:452016-07-26 05:10:09What is the difference between CSR and social enterprise? What are drawbacks of incorporating as a hybrid legal structure? Though it is fascinating to have these new legal structures, they might not be the best fit for every company. An attorney’s job is to help startups find a structure that will be the best fit for their goals, objectives, and growth strategies. The big thing with the new legal structures is that they haven’t been tested in court. That means there is no case law. To be honest, we don’t know how courts will react or uphold the impact objectives. You always need people to raise their hands and be the first, but some companies may not want to be in such an undefined area of law. Additionally, since each state has passed its own version of these legal structures, each state has different requirements. One side note that bears mention is that while there is no definitive case law on this subject yet, Chief Justice of the Delaware Supreme Court, Leo Strine, has written articles on the topic, including one titled “Making It Easier for Directors To ‘Do The Right Thing’?” in which he supports the idea that benefit corporation statutes have the potential to shift accountability and put actual power behind the idea that corporations should act responsibly. Another consideration is that some attorneys feel it isn’t necessary to opt for a new legal structure because there is enough protection within the system (i.e., Business Judgment Rule, constituency statutes) and with the shift in consciousness of corporations towards CSR, there is a natural evolution of the corporation. However, this “wait and see” mentality may not be a good fit for every company as it leaves a few important considerations undefined. Another thing to keep in mind is that the transparency and accountability requirements of the new social enterprise legal structures may not be in line with the company’s policy for releasing information. Depending on the state of incorporation, incorporating as a benefit corporation may mean making information publicly available that a Board of Directors is not comfortable with. https://www.innov8social.com/wp-content/uploads/2016/05/51Q-cover-images_instagram_blog-1.png 1080 1080 neetal https://www.innov8social.com/wp-content/uploads/2018/05/innov8social_logo_gray1.1.png neetal2016-07-18 06:28:302016-07-18 23:32:38What are drawbacks of incorporating as a hybrid legal structure? Are there special legal structures for social enterprise? Companies based in the U.S. can choose between new legal structures or existing legal structures or combinations. They can also rely on established legal principles when deciding on how to move forward with forming their entities. Off the bat, let’s go through a few terms. A hybrid structure is the term cool kids are using these days to describe these new legal structures that combine elements of for-profit and nonprofit legal structures. An example of this is the benefit corporation—it’s a single structure but formalizes aspects of nonprofit (i.e., commitment to impact) as well for-profit (i.e., generating revenue) organizations. Each of the structures does this a little differently, and in the U.S., each state recognizes its own version of these structures. The term tandem is a good one to describe the use of multiple legal structures to achieve the intended goals, such as impact and profit. So a social enterprise could be structured as a C corporation and have a non-profit organization associated as well. Think of it like a tandem bicycle: multiple riders (or in our case, legal structures) working together for the same goals. The term hybrid, is used to describe a single legal structure combining elements of nonprofit and for-profit entities, and tandem to describe the situation when multiple legal structures are used to achieve a social enterprise’s goals. Some of the existing legal structure options for mission-driven companies include cooperatives, limited liability companies (LLCs), C corporations, and nonprofit organizations. A few of the new legal structures for social enterprise include benefit corporations, social purpose corporations, and low-profit limited liability companies. Each structure, of course, has different advantages and drawbacks. https://www.innov8social.com/wp-content/uploads/2016/05/51Q-cover-images_instagram_blog-1.png 1080 1080 neetal https://www.innov8social.com/wp-content/uploads/2018/05/innov8social_logo_gray1.1.png neetal2016-07-13 06:28:052016-07-13 08:22:59Are there special legal structures for social enterprise? I am a student—where can I go to learn about and apply for social innovation fellowship programs? There are literally dozens of social innovation fellowship programs, and new ones emerging regularly. Some are paid, while others are unpaid or for college credit. There are programs to meet individuals at whichever stage of life they find themselves in, whether they’re in school, in an established profession, transitioning between careers, or seeking to re-enter the workforce. https://www.innov8social.com/wp-content/uploads/2016/05/51Q-cover-images_instagram_blog-1.png 1080 1080 neetal https://www.innov8social.com/wp-content/uploads/2018/05/innov8social_logo_gray1.1.png neetal2016-06-29 06:28:412016-06-29 07:28:00I am a student—where can I go to learn about and apply for social innovation fellowship programs? Are there tax benefits for social enterprises incorporating as one of the new hybrid structures? 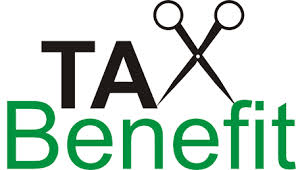 There are no tax benefits for social enterprises in the US at the state or federal level. Though there is nothing in the works now, it isn’t to say incentives couldn’t be added if companies adopting these guidelines prove that by creating valuable impact, they are desirable or provide a benefit to the society and economy. A tax break or benefit would be a huge incentive for companies to consider these legal structures, but on the balance, it could attract companies that are more interested in the tax break than in actually creating the impact. https://www.innov8social.com/wp-content/uploads/2016/05/51Q-cover-images_instagram_blog-1.png 1080 1080 neetal https://www.innov8social.com/wp-content/uploads/2018/05/innov8social_logo_gray1.1.png neetal2016-06-20 06:28:042016-06-20 10:49:21Are there tax benefits for social enterprises incorporating as one of the new hybrid structures? How can social enterprises raise funds? How does funding social enterprise work? The first thing you need to decide is whether it will be a nonprofit or for-profit enterprise. 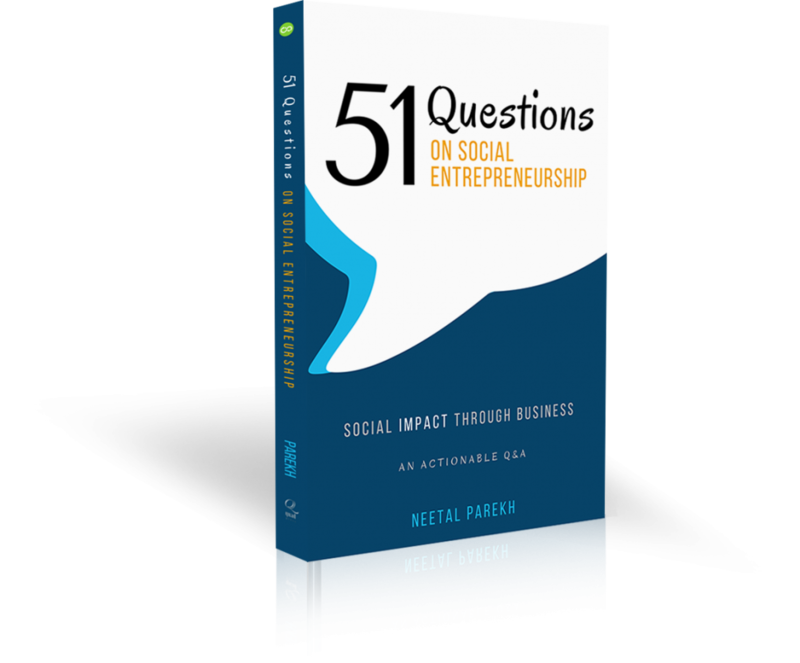 You likely know that nonprofit organizations can be social enterprises, too. This usually means that they have a business model, are generating revenues, and are at least partially sustainable. Nonprofits that are charities often receive the majority of their operating budget through donations and foundations and aren’t generally considered to be social enterprises. Initially deciding whether you are a for-profit or nonprofit is critical in knowing which kinds of funding sources are available. You can choose to form either a nonprofit or for-profit. Whichever one you choose fundamentally defines how you will raise funds. https://www.innov8social.com/wp-content/uploads/2016/05/51Q-cover-images_instagram_blog-1.png 1080 1080 neetal https://www.innov8social.com/wp-content/uploads/2018/05/innov8social_logo_gray1.1.png neetal2016-06-13 01:08:132016-06-13 12:33:55How can social enterprises raise funds? What are common business models for social enterprise? In order to bake social impact into a new startup or business, social entrepreneurs have become more creative in thinking about business models. Here are a few business models for social enterprise that mission-driven founders are considering. Buy one, give one. TOMS is an example of an impact company using this model. It has been a business model and in all of their marketing from the start. The nice thing about a business model like this is that it’s as easy to explain to your investors as it is to your customers and to your team. The simplicity can be a big plus when telling your story and mapping out impact goals. Sliding scale / pay what you can. This model has been employed by a number of social enterprises. One notable one is the Aravind Eye Care System in India. It is a nonprofit social enterprise that performs sight-saving eye surgeries. Founded in 1976, Aravind has treated well over 32 million patients and performed more than 4 million surgeries. In fact, according to it’s 2014-2015 annual report, Aravind medical teams at the 67 affiliated locations see over 15,000 patients and perform 1,500 surgeries on a daily basis. It utilizes a low-cost, high-volume business model for eye surgery services. About 70% of eye surgeries are performed for free or below cost, while 30% are performed for above cost without compromising quality of care on either side of the price range. Percentage models. Salesforce popularized the 1-1-1 model. As a company that was not founded on impact, it is notable that this giving model has been implemented from its start. It means that the company gives away 1% of its product, employee time, and revenue to charitable causes and to the community. A social enterprise could use a percentage model such as Salesforce’s to effectuate a commitment to impact. Another firm, very nice design, based in Los Angeles, uses a “Give Half” model in which 50% of design projects are completed pro bono for nonprofit or community clients—the team at very nice designs has also created modelsofimpact.co featuring over a hundred social impact business models. https://www.innov8social.com/wp-content/uploads/2016/05/51Q-cover-images_instagram_blog-1.png 1080 1080 neetal https://www.innov8social.com/wp-content/uploads/2018/05/innov8social_logo_gray1.1.png neetal2016-06-02 06:28:192016-06-02 13:40:34What are common business models for social enterprise? What is crowdfunding for donation? Donation-based crowdfunding is a way to source money for a project by asking a large number of contributors to donate a small amount to it. In return, backers may receive token rewards that increase in prestige as the size of the donation increases; for small sums, the contributor may receive nothing at all. It’s the easiest form of crowdfunding to set up (i.e. no legal requirements).Let’s look at some of the key features, pros, and cons to understand it better. It can serve as a way to test out an idea, concept, features, or pricing by getting customer feedback through interaction with the campaign, comments, orders, etc. https://www.innov8social.com/wp-content/uploads/2016/05/51Q-cover-images_instagram_blog-1.png 1080 1080 neetal https://www.innov8social.com/wp-content/uploads/2018/05/innov8social_logo_gray1.1.png neetal2016-05-30 18:56:022016-06-08 11:23:16What is crowdfunding for donation? 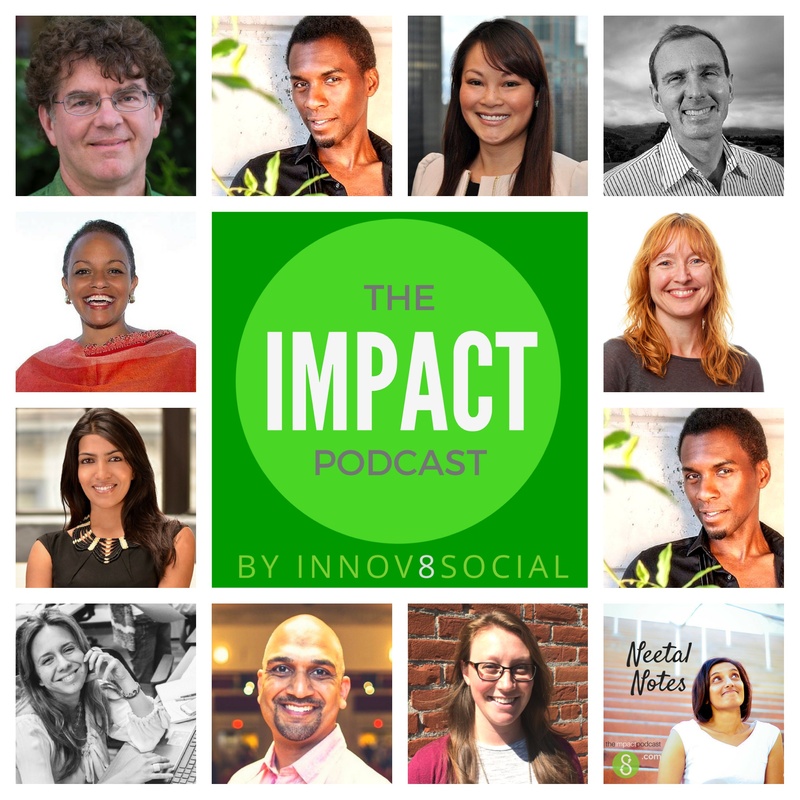 Why does social impact matter ? The world is changing, and everywhere we look there seems to be a call to action. On the horizon, we can see a world population that will reach eight billion people in the next decade—double what it was just fifty years prior. Climate change, which has been recognized as a global concern by institutions ranging from the EPA to the Papacy, threatens with extreme weather patterns as well as a rise in sea level and impact on existing species. Wealth inequity has a new definition as half of the world’s wealth is now owned by less than 1% of the global population, and we live in a time in which nearly 3 billion people struggle to survive on less than $2 a day and nearly 1 billion people don’t have enough food to eat. We live in a time in which girls globally are not afforded the same access to education, with 33 million fewer girls than boys attending middle school around the world. We also live in a moment, when we have ready problem solvers and incredible advances in technology that let us imagine impact not in magnitudes of hundreds of lives improved, but in magnitudes of billions. We are in a moment in which our workforce is changing, and so are their values. As of the end of 2015, over 30 states or jurisdictions in the US have passed some form of social enterprise legal structure, with nearly 3,000 companies choosing to adopt these new legal structures. Additionally, companies including Rally Software and Etsy that have aligned with the social enterprise movement through pursuing a “B corporation” certification have had an Initial Public Offering (IPO). Others, such as Laureate Education, have chosen to convert to a benefit corporation and also file an IPO. As we stand at the edge of how things have always been done and how they can be done, we can see divergent but complementary forces: the pressing issues that affect our generation and most definitely will affect future generations and the intelligent, engaged, motivated army of problem solvers ready to do something about it. 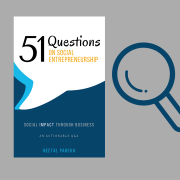 While the evolution of social entrepreneurship to this point has seen the carving out of a new kind of business and a vocabulary to define terms in this emerging space, the urgent need for leadership and innovation has the potential to be met by the most driven, largest, and most cross-functional social innovators and social entrepreneurs the world has ever known. This massive potential—this meeting of what we need and what we are capable of giving, of limitless possibility and urgent problems, of compounding concerns and creative and committed problem solvers—to me encapsulates the essence of why social entrepreneurship matters. I have no doubt that it has the ability to not only transform our lives individually, but to collectively change the world. https://www.innov8social.com/wp-content/uploads/2016/05/51Q-cover-images_instagram_blog-1.png 1080 1080 neetal https://www.innov8social.com/wp-content/uploads/2018/05/innov8social_logo_gray1.1.png neetal2016-05-27 06:28:332016-05-27 11:56:42Why does social impact matter ?